This franchise is actively looking for Master Franchise prospects for Canada. The franchise fee is 7 cents per head of population. Territory size can be negotiated. The price listed of $243K is the normal price for an individual franchise including the franchise license, startup costs and working capital much of which can be leased. Easy to expand. Add territory at $14K per 100K population. 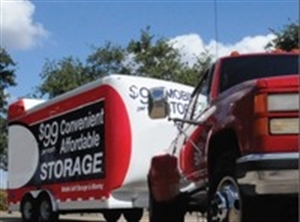 Add storage units at $1850 each which can be financed. Master Franchise Opportunities are also available in Canada.